Canadian diplomats in Havana also affected by suspected ‘sonic device’ which left US officials with hearing damage. Canadian diplomats have been affected by a suspected “sonic device” placed near embassy property in Havana, the Canadian government has confirmed – a day after US officials said that their staff in Cuba have suffered from severe hearing loss. Ottawa said that at least one Canadian diplomat, and their family members, was treated in hospital after suffering from headaches and hearing loss. “We are aware of unusual symptoms affecting Canadian and US diplomatic personnel and their families in Havana,” said Brianne Maxwell, a Global Affairs Canada spokesperson. The Associated Press reported that a months-long US investigation had determined its diplomats had been attacked by a device that operates outside the range of normal audible sound, and used outside or inside the diplomats’ residences. On Wednesday Heather Nauert, spokesman for the US state department, said that two Cuban diplomats had been expelled from the US in response to the “physical symptoms” suffered. The state department would not specify the symptoms, or those involved, but AP said it was believed around five Americans were affected, and were forced to return to the US. 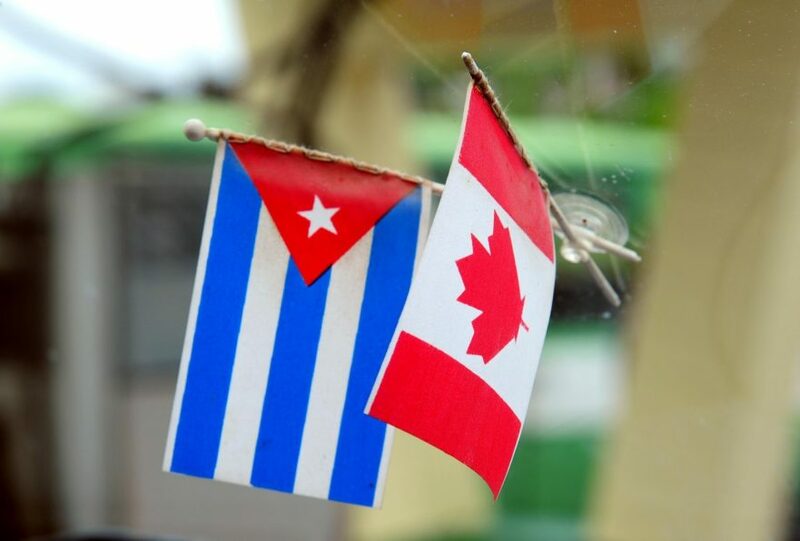 Canada is not at the point where it is ready to take reprisals, since the investigation is continuing and it is too early to conclude the Cuban government was behind the incidents. The Foreign Office told The Telegraph that is could not comment on whether any British diplomats were affected, citing privacy and security concerns. Officials familiar with the probe told AP that investigators were looking into the possibilities that the incidents were carried out by a third country such as Russia, possibly operating without the knowledge of Cuba’s formal chain of command. But Mark Galeotti, senior research fellow at the institute of international relations in Prague and principal director of the Mayak intelligence consultancy, told the Telegraph he doubted Russia could have carried out such activity without Cuban knowledge. “There is very close intelligence cooperation between the Cubans and the Russians, so it is entirely possible that it was a Russian-made device, or that Russians were coming in to maintain it,” he said. While diplomats in difficult countries frequently find that someone has entered their home – “breaking into houses, switching off the fridge, that kind of thing, to keep you off balance”, said Mr Galeotti – he said it was hard to imagine why Cuba or Russia would set out to harm the hearing of diplomats, and spark a stand-off. “There’s a big difference between a deliberate attempt to do damage, and an unfortunate, unexpected side effect of a listening device,” he said.